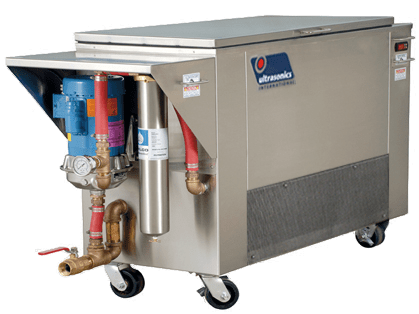 The APC Series Heavy Duty Ultrasonic Cleaners are designed to deal with the most demanding industrial cleaning applications. The separate power station allows the operator precise control of power intensity and wave sweep functions. The APC delivers an aggressive, high performance cavitation field and utilizes the latest dynamic wave sweep technology.